Welcome to the Arden Guest House, Aberdeen, Scotland. ABERDEEN - The Flower of Scotland - has some of the most beautiful parks in Britain; Duthie Park, Hazlehead, Westburn and so on. The long clean sandy beach is worth a visit. Next to it is a fine golf course, a leisure centre including a fun pool with flumes, an ice rink and Scotland's largest funfair! The beach front has recently been developed and now boasts a Mulitplex cinema, Riva bingo hall, ten-pin bowling, Scotland's largest nightclub, restaurants, cafï¿½'s and bars to choose from. 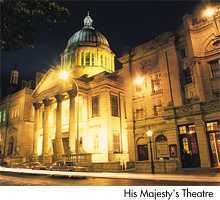 For a more cultural visit why not visit His Majesty's Theatre, The Music Hall, The Art Gallery and Museums. 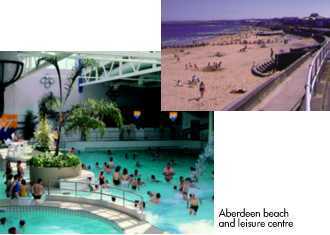 Aberdeen is also an excellent base for visiting Balmoral and Deeside, castles and distilleries. It is within driving distance to the popular winter ski slopes of Glenshee and the Lecht. Aberdeen has a lot to offer visitors and we would be happy to advise you during your stay.